Folding chairs have multiple uses. Whether you need additional seating for that unexpected number of guests or clients, folding chairs can help fill your need for immediate seating and then be easily stacked and stored out of the way when not in use. 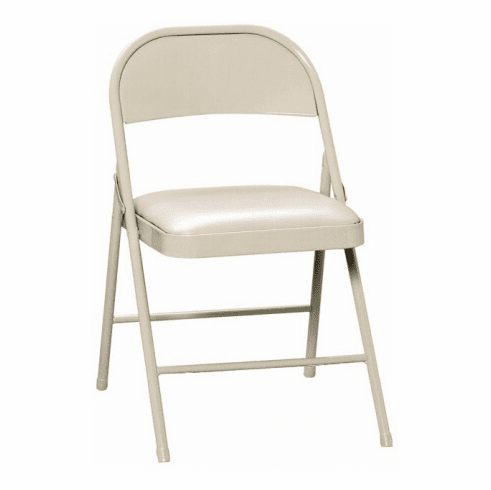 These metal folding chairs ship in 1 business day from one of our 30+ local warehouses.